Information about these and other resources are located in our database guide. Below are step-by-step instructions for obtaining and renewing the mobile medical apps provided by the Charlotte Edwards Maguire Medical Library and the Florida State University College of Medicine. These apps are available to active FSU faculty, staff, students, residents, and researchers only. If you have questions or need additional support for installing, updating, or using any of the apps below, contact Terri Johnson, Medical Informatics Librarian. The FSU College of Medicine provides premium access to the password management system LastPass for its faculty, staff and students. More information is located on Office of Information Technology's website. AccessMedicine can be downloaded on one smartphone and one tablet per user account. Authentication is required every 90 days. Create an account by following this AccessMedicine link to their website. Click the down arrow next to the FSU COLLEGE OF MEDICINE box in the right hand upper corner. Select "Sign in or Create a Free My Access Profile"
A popup window will appear. Select "Create a MyAccess Profile" and fill in the requested information and select "Create Profile"
On your mobile device go to the App/Google Play store and download AccessMedicine. Log in and content should download. You must log in to the AccessMedicine website with your username and password every 90 days to authenticate your subscription. If you get a new device and need your account reset, contact McGraw-Hill Customer Service (onlinecustomer_service@mheducation.com) and request that your account be reset to allow for a new device. You can sync BrowZine to as many devices as you like. Creating your account online follow this BrowZine link, select "My Bookshelf" and then "sign up"
Pick your favorite journals titles and add to your bookshelf. On your mobile device go to the App/Google Play store to download the BrowZine app. Open the app, choose your library by selecting "Florida State University" and sign in with your FSUID & password. Sign into My Bookshelf with your BrowZine account you just created which will sync your mobile and online bookshelves. You can update/change journals online or on your mobile devices. Note: You can also create an account just on your mobile device through the app. Create an account by following this ClinicalKey link to their website. Click the "Register" link in the top right corner. Enter the requested information and register. On your mobile device go the App/Google Play store and download the ClinicalKey app. Log in with your registered account. DynaMed Plus mobile license allows up to 3 devices of any platform with one license. NOTE: Requires at least 500 MB of memory. Follow this DynaMed Plus link and click on "Get the DynaMed Plus Mobile App" on the left side of the page under "Spotlight". Input the email address you use on your mobile device when prompted. Open the DynaMed activation email from "donotreply@ebsco.com" on your mobile device. Select the "authentication key" which will open your app and download the content. DynaMed Plus requires renewal every six months. Follow this DynaMed Plus link and click on "Get the DynaMed Plus Mobile App" on the left side of the page under "Spotlight"
Enter your email address that you use on your mobile device. You will be sent an email with an authentication key to renew the app. Create an account by following this The Medical Letter link to their website. Click on "Mobile Apps" (located on the left hand side of the webpage). Fill out the registration form using the CoM mailing address (1115 W. Call Street, Tallahassee, 32306), your email and create a password (password is letters and numbers only). Go to the App/Goggle Play store and install The Medical Letter. Log in and download content. When your subscription expires you should receive an e-mail from The Medical Letter stating that you need to reestablish your app. Follow the instructions above to renew your subscription. Micromedex can be downloaded on multiple devices. Renewal is required every March. Follow above instructions. Natural Medicines mobile license agreement allows for one smartphone and one tablet per account. Create an account by following this Natural Medicines link to their website. Select "Get Your Login ID" from the top right corner of webpage. Log in to the app with username and password you just created although instructions states to use email or CE ID#. Content should download. username and password you created for Natural Medicines. AAP mobile license agreement allows for download on one smartphone and one tablet. If you already have an account with AAP continue to step 3. If you do not have an AAP membership you will need to create one. Create an account at AAP by following this PCO link to their website, click on "Sign In" and select "Create account". Select "Individual" account. Once your account is created you will receive an AAP ID number. You should also receive an email with your AAP ID in it. This number is needed to download content. You now need to log in to PCO to associate your membership with the FSU CoM. Follow this PCO link to their website to "Sign In" with your AAP # and password. Once you complete this you are ready to download the app. Go the the App/Google Play store on your mobile device and download Pediatric Care Online. Once installed, open app and log in with your AAP # and password and download content. NOTE: You can also download the Red Book as a separate app using the the AAP ID# you created. The Red Book is included in the AAP app. You should log in to your Pediatric Care Online account once a year while on campus to renew. PEPID mobile license agreement allows for download on one device only. Follow this PEPID Mobile Usage Agreement link to register. Read the message and select "Link to PEPID registration form" to fill out the registration form. Once you submit the form you are finished with registration. Download the PEPID app from the App/Google Play store on your mobile device. Open app, log in, and download content. You should have two products listed PEPID: Medical Dictionary and PEPID: Clinical Rotation Companion (CRC Platinum Suite). Both of these will have to download separately. Follow this PEPID Mobile Usage Agreement link to register. Read the message and select "Link to PEPID registration form" and fill out the registration form. You must use the same email and password you previously created. If you do not know your username and password, go to www.pepid.com, select "My Account" and "Forgot Password." Open app and update content. To update content see instructions below. 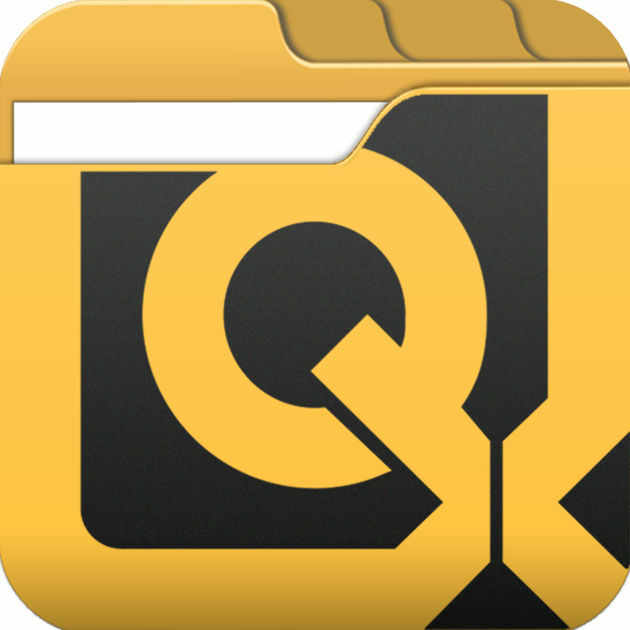 The Read by QxMD app can be downloaded on multiple devices. Read articles in your favorite journals or browse article collections on your mobile device or online. Sign up with any email address to create a personal account or sign in with your FaceBook account. uCentral mobile license agreement allows for one smartphone and one tablet. Create an account by following this uCentral link to their website and select "Mobile" to register for an account. Open the app, log in and download content. Updating your uCentral while on campus will renew your subscription. Simply run your UCentral application on your mobile device and it will update automatically if there is an update. If it does not update itself, there is an update button on the top left. Simply click the button when connected to internet and it will update. The FSU College of Medicine provides access to UpToDate on up to two mobile devices (i.e., one tablet and one smartphone) for COM full-time faculty, staff, students, residents, and clerkship directors. Go to the Maguire Medical Library's UpToDate Portal. Log in to the portal with your CoM username and password. Once you are in UpToDate, click on the "Log In/Register" button in the top right corner or click "Want the UpToDate mobile app? Register Now" link below the search box..
Register and create a username/password on the UpToDate site. Note: After you’ve registered, you will receive an email confirmation from UpToDate that provides instructions for downloading the UpToDate mobile app. Follow the instructions in the registration confirmation email to download the UpToDate app to your mobile device(s). Open the app and sign in with your UpToDate username/password. Use the mobile app anywhere you have an internet connection. Note: Find more information about UpToDate on the medical library’s FAQ page. Your personal UpToDate account must be re-verified at least once every 90 days through the library's UpToDate portal on the FSU College of Medicine website. You will receive an email reminder from UpToDate, and if you don't re-verify in a timely manner, you will get a message that your remote access has lapsed. Log in to the UpToDate Portal through the library's website with your College of Medicine username and password. Log in with your personal UpToDate username and password. You will receive confirmation that your remote access has been extended. This process must be repeated every 90 days. Open the app and use. NOTE: You will have to open the app on campus at least once every 150 days to authenticate. Go to Visible Body and select "Off Campus" and follow instructions. Enter your verification code. You will now receive an email with your username and password. Create an account by following this VisualDx link to their website. Click "Get the Mobile App" under the search boxes and fill out requested information to create a personal login account. On your mobile device go to the App/Google Play store to download VisualDx app. Open app and log in with your personal account. Back up old device to the cloud or your computer. Download apps to new device. Open each app and log in with your username and password you created for each account. If you have any issues check the mobile app instructions or contact Terri Johnson.